Awards | Live. Laugh. Read. Thank you so much to Analee from BookSnacks and Casey from inspiredbythepage for nominating me for the Versatile Blogger award! They are both awesome people and you should definitely check out their blogs if you haven’t already. – Thank the person who gave you this award. That’s common courtesy. – Include a link to their blog. That’s also common courtesy — if you can figure out how to do it. – Next, select 15 blogs/bloggers that you’ve recently discovered or follow regularly. 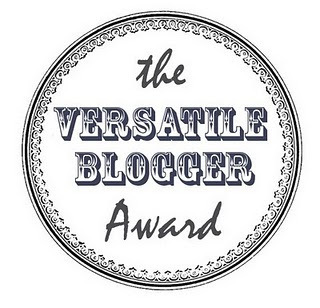 – Nominate those 15 bloggers for the Versatile Blogger Award — you might include a link to this. 1. I have recently started my first job. 2. I would love to work in a bookstore part-time or casually. 3. I am getting some custom made bookshelves which will line my wall. I am beyond excited! They will be coming in a couple of weeks and when I get them I will most certainly do a bookshelf tour for you all. 4. I have red streaks in my hair. 5. I have no problem reading multiple books at once. 6. I love marathoning things – books, movies, TV shows… Anything but the real thing (i.e. running). Thank you again to both Casey and Analee! If I have nominated you and you have made a response post, please let me know in the comments below and I will be sure to check it out. 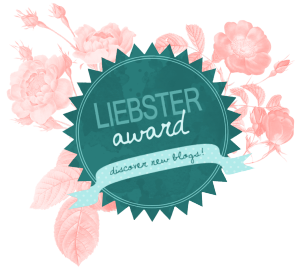 Thank you so much to The Enchanted Book for nominating me for the Liebster Award! She is really cool and, as I have discovered recently, we share a very similar taste in books. You should definitely check her out! I want to live in England with my best friend lilnerdling and get a British accent. I love my sister, who is older than me by approximately two and a half years. I want to be a Clinical Psychologist, specialising in youth/young adults. Aside from living in England and becoming a psychologist, my dream is to be a professional reviewer – that is, be sent physical copies of books in exchange for honest reviews (like you see on BookTube). I am a member of NetGallery and have been sent electronic copies of books by Shannon A Thompson, which is absolutely awesome, but to quite the same. I am obsessed with BookTube. PolandbananasBOOKS was the first BookTuber that I ever watched, and the only one for approximately six months. I love the Marvel Universe, but admittedly have never read the comics. #1: Who was your first fictional boyfriend/girlfriend? I honestly have no idea. However, I think that the first character I fell in love with was Ramil from Dragonfly by Julia Golding – which I have read at least seven times and is one of my favourite books ever. #2: How do you decide what book to read next? I have a stack of books to read next on my bedside table. This represents my shortlisted TBR pile. From there, I go with whichever book I’m most interested in. However, I also have a virtual stack of books on by NetGallery shelf, which also factor in. As afore mentioned, I am not-so-slightly obsessed with BookTube. I do have Goodreads, but I only use it to post another copy of my reviews and to look up the occasional synopsis/author’s name. #4: Have you ever marathoned a book trilogy/series? If so, which one? Yes, I have marathoner several book series’/trilogies. Off the top of my head, the Infernal Devices trilogy and most of the Mortal Instruments series by Cassandra Clare; the first two books in both the Timely Death trilogy by Shannon A Thompson and the Winner’s trilogy by Marie Rutkoski; most of the Ranger’s Apprentice series by John Flanagan; the Immortals and the Song of the Lioness quartets by Tamora Pierce; the Percy Jackson, the Kane Chronicles and most of the Heroes of Olympus series by Rick Riordan; as well as countless others. I believe that marathoning series is certainly the way to go, but if you can’t or don’t that’s fine too. #5: What is/are your favourite TV show(s)? Doctor Who, BBC Sherlock, Supernatural, Elementary, Agents of Shield, The Blacklist and Once Upon a Time. There may be a few others, but I cannot recall them off the top of my head. I cannot bring myself to eat or drink while reading (save water). However, if we’re talking about my favourite snack in general (but, more specifically, while watching movies and/or TV shows) I would have to say original chips (preferably crinkle cut) with either smarties/m&ms/mini m&ms (yes, mixed together!). #7: What are your other obsessions, aside from books? BookTube, movies (usually seen at the cinema) and Superwholock. #8: If you could choose a bookish career, which would it be? As afore mentioned, I would love to be a professional reviewer, but aside from that I would like to be an editor. #9: If you could choose a bookish CAREER, which would it be? *groan* Really? You have to pick this one? I have absolutely no idea – none whatsoever. I shall instead point you in the direction of Jennifer L. Armentrout, Rick Riordan and Cassandra Clare. I love all of their works and so any quotes from their books would be amazing. #10: What are your top three bookish pet peeves? Dog eared pages, books left tented (as in, left open face down on the current page(s) – it’s kind of hard to explain) and the general mistreating of books. #11: What is you worst reading habit? Oh, this is a hard one… I’m going to go with a rather common reading habit: despite having so many unread books on my shelf (some dating back to about four years or so) I keep buying more. 1. What was the first book/series/trilogy that you remember loving? 2. What are some of your all-time favourite books and/or authors? 3. What is an under hyped book that you loved and who would you recommend it to? 4. Do you like BookTube? If so, who are some of your favourites? 5. What is your go-to book for YA recommendations? 6. How many books are on your bookshelves? (For this, you can simply post pictures of your bookshelves). 7. Who are your top five role models from books? Why? 8. What non-bookish item/food/memory/thing do you associate with books? 9. Where do you live? Where would you like to live? 10. What book made you a reader and why? 11. If you could choose, which bookish world would you want to live in? Why? And that’s all for the Liebster Award! Thank you again to The Enchanted Book for nominating me! To all you nominees: be sure to link your response in the comments below. Thank you so much to Pearl Angeli from Bibliopearl for nominating me for the “One Lovely Blog Award”. I feel so honoured! Be sure to check her out – not only are her book reviews amazing, but she is such a lovely person to talk to! I have only recently become a fan of Doctor Who. During the holidays, I plan to watch seasons 5-8 of Doctor Who, 1-8 of Supernatural, 1-2 of Torchwood, 1-6 of Vampire Diaries and season 3 of BBC Sherlock. I want to be a psychologist when I’m out of school. During university (probably my under-graduate) I plan on spending a year in England. I’ve been obsessed with going to England for who-knows-how-long and I really want an English accent. Although I am a complete and utter bookworm, I hated reading until the end of year four.